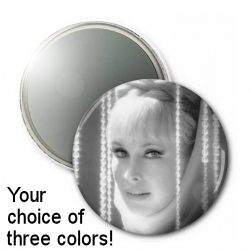 Barbara Eden Magnets (Screen Siren Set). 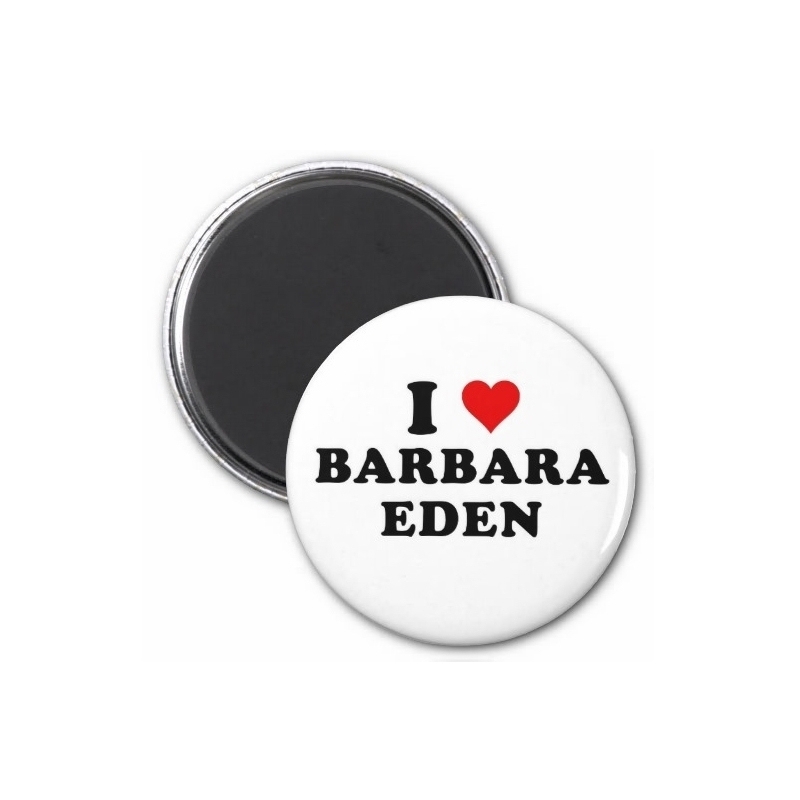 Description: Timeless shot of Barbara in sweetheart top. Image is purple tinted. 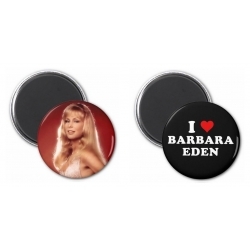 Description: White background with black lettering and red heart; magnet reads, "I love Barbara Eden"